Home » Why Buy Freighter? A Ballarat local, Ivan has personally engineered tens of thousands of Freighter trailers since he joined the company 48 years ago. 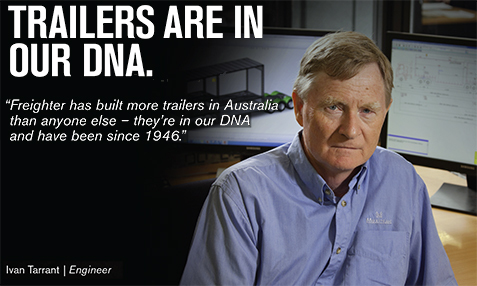 Ivan is just one of a dedicated team of over 400 people working at our manufacturing facility in Ballarat, Victoria, who have trailers in their DNA. This DNA is borne through our vast experience, and a common passion and pride to bring you the best trailers on the market. Make sure your next trailer comes from the brand with more experience than any other.